President Trump’s on-again, off-again feud with Mitt Romney appears to be off for now. 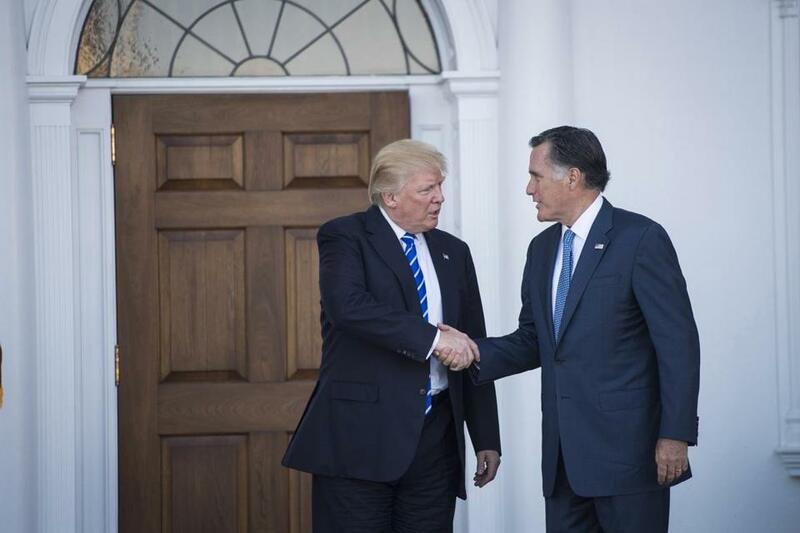 WASHINGTON — President Trump on Monday night threw his full support behind Mitt Romney’s bid to be the next US senator from Utah, writing on Twitter that Romney would be a ‘‘worthy successor’’ to Republican Orrin Hatch, who is retiring. ‘‘MittRomney has announced he is running for the Senate from the wonderful State of Utah. He will make a great Senator and worthy successor to @OrrinHatch, and has my full support and endorsement!’’ Trump wrote on Twitter on Monday night. Romney on Friday announced his long-expected Senate bid in his adopted state of Utah with a low-key rollout intended to duck Republican divisions and avoid signaling that he will play the role of foil to Trump. In his announcement, and in a video, Romney, 70, touted his leadership of the 2002 Olympic Games in Salt Lake City, his tenure as Massachusetts governor, his degree from Brigham Young University, and his 24 grandchildren. He made no mention of Trump. Despite his harsh criticism of Trump during the 2016 election cycle, Trump considered Romney for his secretary of state but ultimately passed him over for Rex Tillerson.